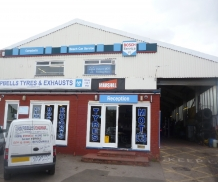 At Campbells Tyres & Exhaust we have been perfecting the trade of mechanics for over 15 years. We are a family run business and have 3 generations of experience behind us. We pride ourselves on giving cheap prices teamed with the best quality. 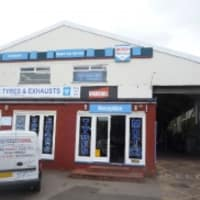 We are members of the esteemed Bosch Car Service and are also part of the Trust My Garage scheme - which ensures top quality service! We cover all types of repairs. From minor repair to engine changes. We can even remap your car if that's what you want! All parts are covered by a 12 month warranty and because we trust our mechanics so much, we give an 18 month warranty on our labour for piece of mind.